Police have caught 630 people speeding in a week-long blitz. The Cleveland and Durham RPU team - a joint project by Durham Constabulary and Cleveland Police - launched the operation at the beginning of April as part of a campaign led by the National Police Chiefs Council. Offices carried out high visibility patrols and monitored roads identified by local authorities and locations of speed complaints, with 20mph roads also monitored during the crackdown. • In total, 103 drivers detected driving above 40mph in 30mph areas. Three drivers were also found to have no insurance, three were not wearing seatbelts and one was found to be under the influence of alcohol. Police said, if appropriate, those drivers caught speeding may be offered the opportunity to attend a speed awareness course which educates drivers on the dangers of speeding. Others may be fined £100 and receive three penalty points on their licence, whereas those exceeding the limit by a large margin may appear before the court. 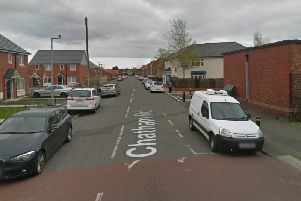 Police said speeding is one of the main four factors which contribute towards serious or fatal collisions, known as the ‘fatal four', and is also one of the most prolific concerns raised by communities, a concern officers say they are committed to addressing. 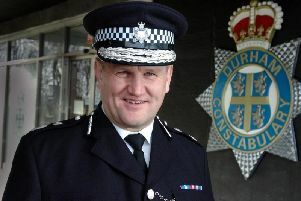 Inspector Jon Curtis, from the Cleveland and Durham Specialist Operations Unit, said: “It is disappointing that we repeatedly see high numbers of people speeding during campaigns like this, putting their lives and the lives of other road users at risk of being seriously injured or killed. “These campaigns are carried out for a reason, to help make our roads as safe as we possibly can in order to save lives. “We’d always like to thank those drivers who do abide by the speed limits and contribute to making our roads safer.